wownder: Why don't we eat flowers? Why don't we eat flowers? Think of some plant products that we eat. Chances are it is either a fruit, seed, leaf or roots of a plant. Rarely do we eat flowers. Why so? Fruits and seeds are storehouses of energy. Fruits are intended to be eaten by others, so that the seeds get dispersed far and wide. 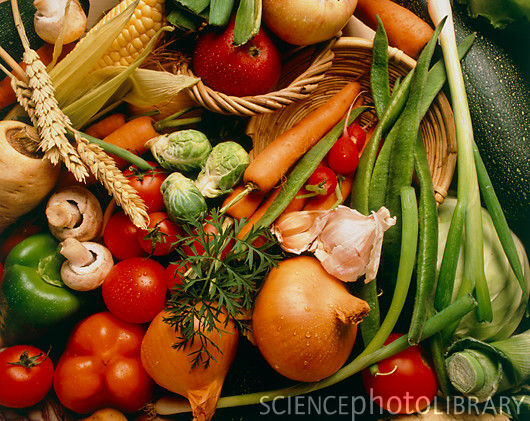 Seeds are intended to store food for the sprout that grows from them. The roots that we eat (potato, beet, carrot) are actually specialized roots that store energy too. That's why they are rather unusually shaped and much larger than roots of other plants. Leaves are the kitchen of the plant. Leaves do not have too much energy in them, but they have many essential minerals and vitamins that we need to repair our body and carry out subtle chemical wizardry in our brains and glands. Leaves also have fibres that help keep our digestive system in good shape. And hey, leaves are available in plenty! Flowers are however small in size. They are not available all the time of the year. Moreover, flowers don't last long, usually a day or two. That makes it difficult for us to gather enough quantity of flowers to make a meal. Think about what purpose a flower serves to a plant. It is mostly to attract insects for pollination. The flower is therefore specialized for that purpose, having scents, colors, fluorescence and what not to get those bees to notice them. They are laden with chemicals. There's no energy - like carbohydrates, no proteins either which help us build our body, and usually not much minerals/vitamins. So if we eat flowers, we don't really get anything much of use. Rather, we are in the danger of having an overdose of strange chemicals that the flower may have, which can make us sick. It is like this not only for humans, but for most animals. It is how plants have evolved to ensure that the flowers don't get eaten away before they had a chance to bear fruits and seeds. Very clever, isn't it? Well, nature had all the time to learn from itself and set things to perfection! We have leant not to have flowers as their main diet. Flowers are like spices. They taste and smell good in small quantities. But we can't tolerate too much of them. There are some flowers we eat as accompaniments and flavoring agents. Rose petals, and marigold petals are used with milk and sometimes pickled. Jasmine is used to flavor tea. Saffron is used to flavor and color delicacies. 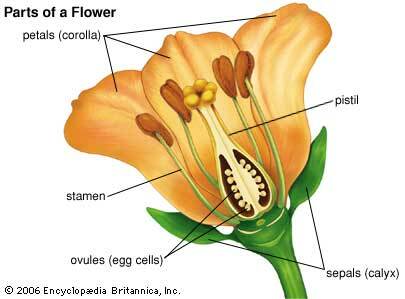 There are also some flowers that are eaten in slightly larger quantities. Cauliflower is a common example. Cauliflower is really not a flower, it is just the part of the plant that holds the flowers. The real cauliflower flower is too small to be eaten. Banana flowers are are also eaten, but it requires lot of preparation to remove the caustic flower parts. Neem flowers are also eaten in some places, but in small quantities because of their bitter taste. Do you know of any flowers that you eat? Tell us! Thanks Shashiprakash. Glad that you liked it. love the way you make natural wisdom accessible so simply to lay people and to younger folk, and to people like us, who wonder why about most things but don't have the answers. agree with Subho--my first time on your blog and I am finding it interesting! tanmay it is a very well written article - loved it ! yeah Indian rose(as in gulukand)and there are tiny light green flowers known as gawalmanda(as known in local language in J&k STATE)which is delicacy , a rare vegetable not every one can afford it..
That's interesting Alka. I tried to look up the gawalmanda flower/recipe but couldn't find it on the internet. If you have, do share some pictures/links of it for myself and other readers. Hope he liked it. Thanks! Wow. Yes, pumpkin flowers with besan (gram flour). Thanks! Probably we eat (apart from using as flavoring agents or for decoration) most flowers as fried preparation. Just like Tandrima chakraborty has listed a few and said rightly, a lot of Bengali preparations has flowers as side dish item ! As most are seasonal we often forget them. Another factor is the local names. I do not know what is the English name of Sojner Ful (Bengali), for example. My ancestors are purely from West Bengal, those whose origin is from unpartitioned East Bengal (now Bangladesh) knows more flower related preparations. A good post to collect and create a probable list! Well, cauliflower and it's relative, broccoli are both flowers. Then, there is Brussels Sprouts. There is a tree called Mahuwa whose flowers are used as food as well as for preparing liquor, especially in tribal regions of Central India and Chottanagpur area. Though they look like flowers, cauliflower and broccoli are not really flowers. They are actually a sort of a base for numerous very tiny actual flowers. This sort of formation (which is also found in some other plants) is known as false flower. Brussels Sprouts are similar to what we recognize in India as cabbage. Cabbages are a mass of leaves. They do have a bud enclosed inside, but it is tiny and not a flower yet when it is eaten. Yes, we do eat flowers, but occasionally and in small quantities. 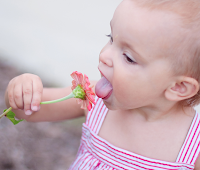 Humans did not evolve to have flowers as a significant portion of their diet. That is what this article explores. Thanks Gaurav for your comments. You do seem to be quite knowledgable in this matter. I guess flowers are rather difficult to preserve (particularly their aromatic compounds), unlike seeds. That is probably why we do not see those many flowers as spices as well.